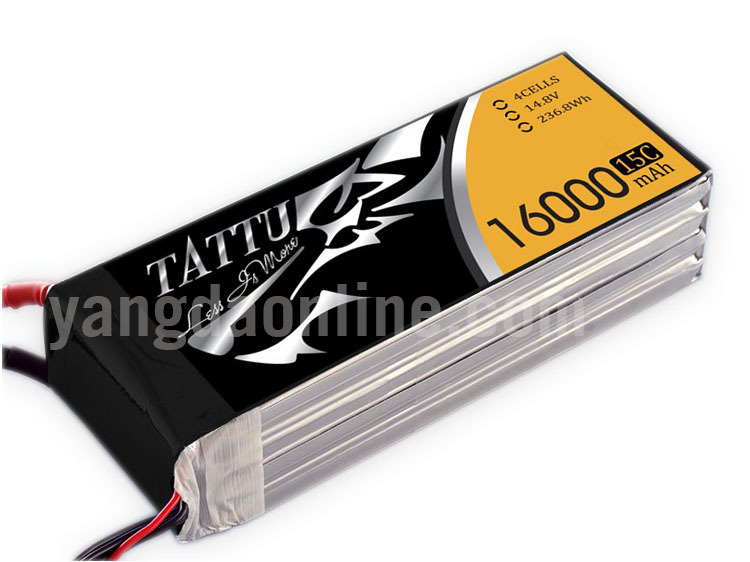 The Tattu 16000mAh 4S1P 15C Lipo Battery packs are recomended by most of the drone pilots. They are great for aerial photography thanks to the very big capacity of 16000mah. 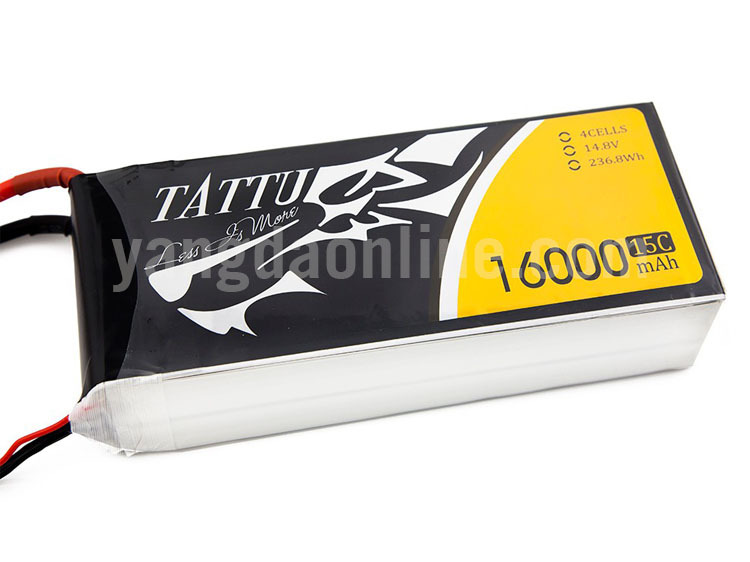 The Tattu 16000mAh 4S1P 15C Lipo Battery packs are packed with vibration-proof & fire-proof material and our luxury battery box ensuring you get your battery in perfect condition. An automatic procedure & Computer system battery cell matching process ensures the batteries stability and quality. Superior service life that make it the best choice for your battery.